"UK’s Biggest Trade Show for Children Wear Industry"
Pure London’s expertly curated show sectors cater to all your buying needs and I am delighted that the childrenswear industry will now be able to participate in the largest trade fashion event in the UK and experience the business opportunities this comprehensive offer will undoubtedly generate for buyers and brands alike. 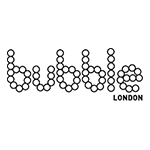 Bubble London is the perfect platform to present your collections to some of the world's best buyers. As well as creating inspirational shows attracting some of the most innovative and creative brands and the most influential buyers, Bubble London also ensures that exhibitors reach the industry through its comprehensive marketing programme. Eurotraveller Hotel - Premier -..